This is over at The Teaching Channel. It’s a great look at how stopmotion and movie making connects to the arts, and why that is important. In our second Make Cycle at the Making Learning Connected MOOC, facilitators Stephanie and Karen suggest we all try to do a little “toy hacking.” What that looks like is up to us (and they are going to be doing a live Google Hangout tonight at 9 p.m. eastern time to talk about how you might go about hacking a toy) and how we capture it and share it is up to us, too. I was school the other day, and saw a cute little stuffed pig that I often have in the room (squeeze it and it oinks), and thought: how can I make that pig fly? Now, I probably should have been asking myself, Why aren’t these reports cards done yet? Or, why not use my time to clean up the room? Or any other question related to the last week of school (yes, we are still in school). Instead, I wanted to make the pig fly. I got down to some making. I gathered up materials along with the pig, including Wiki Stix, string, scissors, and a pair of sunglasses (the pig needs to look cool, right?). As you know if you follow my blog, I have done my share of stopmotion. I considered that as an option, but then wondered if I could do an animated .gif file instead. It’s the cousin to stopmotion, but the file becomes a photo file not a video, and it loops constantly. I’ve wondered about the possibilities of .gif files for some time, yet never made one myself (other than with Pivot Stickfigure, and even then, I would convert it into a movie file). I set up a camera and as I worked to create a Wiki Stix companion for the pig, and to put wings on the pig, and to get the pig soaring with the help of string, I would reach over and take images every now and then. I ended up with about 20 pictures. Now what? Here’s where I ran into some troubles. I tried two different only websites that touted the ability to create animated .gif files, but I think my pictures were too large. Or the sites stink. Either way, the result was the same. I then remembered that the photo feature in Google Plus now can magically “animate” as series of photos that have the same background into an animated .gif replica. So, I went that route, uploading the pig pics (nice alliteration), but Google Plus would not animate the entire set, only a few of images. It looked pretty neat, but not what I wanted. I went into the App Store, and paid two bucks for a .gif maker called Gif Animator. The first time it rendered the project, the file was so huge it choked my ability to even preview it. Diving into the settings of the app, I changed the output to something more manageable, and did another round of rendering. Success. I had an animated .gif of my pig flying. Now, to host it somewhere in order to share it out with the MOOC and the world. My first thought was Flickr, which used to be able to host .gif files. Not anymore. I put the call out on Twitter for help in finding a hosting site. Nobody responded. So I opened up my search engine and saw that Photobucket has the ability to host animated .gif files. I uploaded the project and finally, there it was: my pig in flight. I also later realized I could upload the .gif into Google Plus, and the animated file could be shared in my Google Plus circles, so now my pig flies in a few different places. But it does not allow you to embed outside of Google Plus, so that didn’t really help my cause. The result is that I had a lot of failure along the way, and much of it had nothing to do with the hacking of the toy to make it fly. The failure had to do with the technology and navigating a system for creating and sharing out. That is frustrating, and yet, it is also exhilarating on a certain level to know you figured the workaround. Almost like beating the system. The key is not to give up. And be sure to raise your arms up and give a holler when your vision is reached. In some ways, I was as much hacking the technology as I was hacking the toy, and if that’s not what the Making Learning Connected MOOC is about, then I don’t know what is. 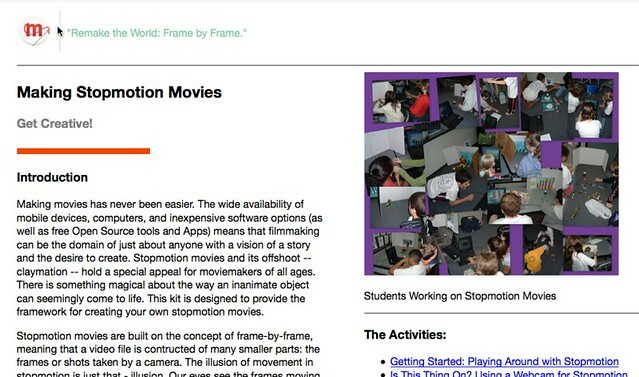 A project resource that I was working on with the National Writing Project and the Mozilla Foundation has been released, and it is a tutorial and hackable activity around creating stopmotion movies. This is part of a larger partnership to create resources for folks as part of the Summer of Making and Learning.I wanted to try to find ways to teach people how to use stopmotion tools for creative expression. There are a few pages to the resources, each of which can be “remixed” thanks to the Mozilla Thimble website tool. And two activities use Popcorn Maker as a way to experiment with video design. Check it out and give it a try. Make a movie! This connects nicely with both the Teach the Web MOOC and the Making Learning Connected MOOC. We kicked off the first day of the Making Learning Connected MOOC with a flurry of activity. It was so energizing to see the variety of ways that folks are diving into the first cycle of making, by creating representative media to introduce themselves. We’ve already had audio, video, artistic, interactive, and more examples. This animated introduction is how I introduced myself to the community. Since I am asking folks to explain their process of making, I should do the same, right? First, I used an app called Animation Desk. I paid the upgrade version, but there is a free version, too. It’s a pretty powerful stopmotion animation app. It’s not the simplest one out there, but I like the options for what you can do, and to be honest, I think I have only begun to scratch the surface. See this screenshot? This is just one page of frames. Next, I exported the animation out of the app, and it allows you to export directly to sites like Youtube. But I emailed the file to myself, and then dumped it into iMovie, where I added the titles, voiceover and soundtrack, and then hosted it up on Youtube, in order to easily share with the Making Learning Connected community. I hope it captures a bit about and maybe inspires you to try something different. You’ll likely be seeing a bunch of different teasers coming into the Blogosphere here and elsewhere, as a group of us who are facilitating the Making Learning Connected MOOC this summer work to get folks interested in the free, online space for exploration and making and learning this summer. We’d love to have you, too. The sign-up site is not quite ready to share out, but it will be soon enough. For now, we’re creating various teasers in various media formats as a way to spark interest. Here, I used WikiStix on my radiator and a free stopmotion program called JellyCam to create a short stopmotion piece with the words Making Learning Connected. I also turned on my iPad with a free stopmotion/time lapse program called iMotion HD and aimed it at me, working, in order to quickly (don’t blink) capture what I was doing. In both cases, I uploaded directly to YouTube and added a soundtrack there. So, I didn’t bother with any video editing program on my laptop. How can one resist that challenge and it occurred to me that using Popcorn Maker might be the way to go, since I could just borrow the video from Vimeo, and layer in some audio and other things. So, I did, using their Star Wars theme and twisting it around a bit to create a story of a cupcake thief (figuring the kindergarten kids would get a kick out of that). I then wrote a letter to the class at the blog, sharing my remix and encouraging them to be creative. What I noticed as I was remixing was the “invisible audience” of Sheridan’s classroom. I wanted to amuse them and also respect the work that they had done. It was an honor that they bestowed on us to use their work for new purposes, and even as I was re-imagining the story (thinking, too, of the story they were probably thinking as they created their video), it felt less like theft and more like appreciation. And I guess that is the goal of most remix efforts — celebrating the original even as you try to move it in a new direction. In my mind, it would not have made sense to record an audio track that matched exactly what they had in mind when filming. I felt the need to move the remix in an unexpected direction, and by doing that, I was empowered to be creative in my efforts. That’s been the real lesson around remixing, I think. How about you? You want to try a remix of their video? Either go to Ben’s post or use their video down below to remix your own story. You don’t have to use Popcorn Maker, as I did, but you can. If you do, be sure to share the link and remix with the class, and I’d love to see it, too. (You can even use the remix button my Popcorn project, if that helps). The first day of February break, my youngest son asked: “Can we make a stopmotion movie?” You bet we can. We worked on the filming over a series of a few days with a software called Smoovie, and then created the soundtrack on the Garageband App, and then used iMovie to pull it all together. 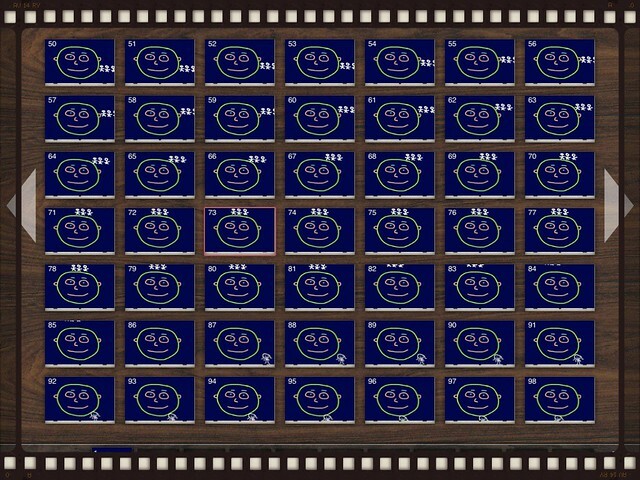 Just to say, a 2 minute stopmotion movie required a lot of shooting of frames. I took the song demo I shared yesterday and used Stykz stopmotion animation to make this video for my band, Duke Rushmore.